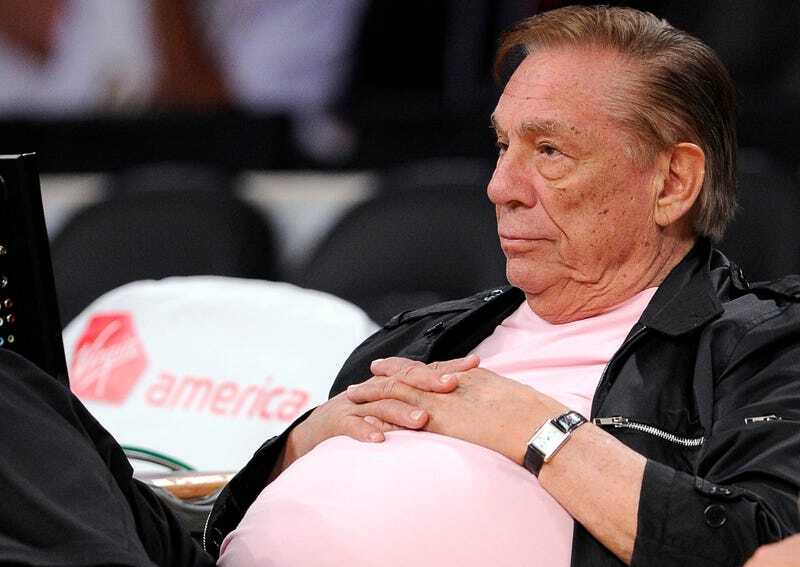 The Los Angeles Times has reviewed the NBA's formal written case against Donald Sterling, and the biggest of the new allegations contained within is a claim that Sterling attempted to buy off V. Stiviano to say her audio recording was altered. The documents, a 30-page report from the NBA's investigator plus hundreds of pages of interviews with Clippers employees, league staffers, and others, comprise the NBA's case for Sterling's expulsion from the NBA. Sterling received the material on Monday, and has until May 27 to respond to them in writing. • "I wish I had just paid her off," Sterling said of Stiviano. Just days after that magazine interview, Sterling appears to have tried. He met Stiviano on May 2, and offered to secretly reimburse her for settling the lawsuit Shelly Sterling brought against Stiviano. The NBA's investigator writes that "Mr. Sterling said that he would return the value of that payment to Ms. Stiviano through back channels." In return, Sterling allegedly asked Stiviano to disavow her recording of him making racist statements, and to say she had altered the audio. • On April 26, after the release of the audio but before the NBA announced his lifetime ban, Sterling told the NBA's investigator that the tape had been altered, and that he had never said some of the inflammatory comments contained in the audio. For example, Sterling told Anders he had never told Stiviano not to pose for photos with black people, and never warned Stiviano not to bring Magic Johnson to these games. Sterling claimed the audio had been doctored to make it appear he had said these things—though, weeks later, Sterling would admit otherwise. • Clippers President Andy Roeser has previously tried to separate himself from Sterling, but according to the NBA's investigator, Roeser was intimately involved with protecting Sterling both before and after the release of the audio. The case against Sterling alleges that Roeser became aware of the recording on April 9, 16 days before its release on TMZ, when a Clippers employee told him they had been sent the audio by V. Stiviano. Roeser directly that employee to delete the recording and related text messages from their phone. Roeser also helped Donald and Shelly Sterling craft their first statement in the wake of the audio's release, one which threw into question the tape's legitimacy. The NBA says that statement was "intentionally misleading," and Roeser has since been placed on indefinite suspension. • The NBA believes that Donald and Shelly Sterling are lying about being separated or estranged, as they have claimed. (This is Shelly's Sterling's big argument for why she should retain sole ownership of the Clippers.) According to investigators, "significant evidence exists in the public record and otherwise that Mr. and Mrs. Sterling are not in any sense estranged." The NBA will present its case against Sterling at a June 3 hearing, and Sterling's lawyers will have the chance to defend him. The association's board of governors will then vote on seizing the team.